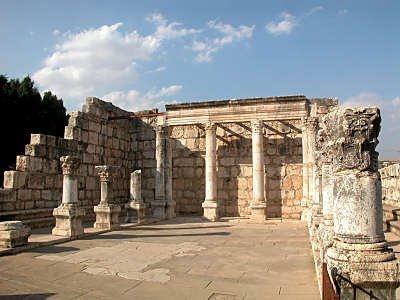 Then they entered Capernaum. When the Sabbath arrived, Jesus lost no time in getting to the meeting place. He spent the day there teaching. They were surprised at his teaching—so forthright, so confident—not quibbling and quoting like the religion scholars. Jesus shut him up: “Quiet! Get out of him!” The afflicting spirit threw the man into spasms, protesting loudly—and got out. Everyone there was incredulous, buzzing with curiosity. “What’s going on here? A new teaching that does what it says? He shuts up defiling, demonic spirits and sends them packing!” News of this traveled fast and was soon all over Galilee. In Mark, Jesus’ first miracle sets the stage for his death. Here in Mark’s first chapter, few words tell much. Jesus does not want to waste time getting to it, but once he starts he is not impatient. Note that the healing is on the Sabbath, that his presence is disruptive, that he has authority over demons, and that word of his first public miracle travels quickly. I’m left with the feeling that new teachings are a threat to old teachers – now that Jesus is on their radar, the plotting has begun.